Okay! Musume Time: My One and Only! Houkago Princess Transform into Your Ideal Princess for their First Major Album Release! My One and Only! Houkago Princess Transform into Your Ideal Princess for their First Major Album Release! Today on February 19th, Houkago Princess and Universal Music Japan unveiled the groups latest promotional artwork, and announced the release of Houkago Princesses first album release! 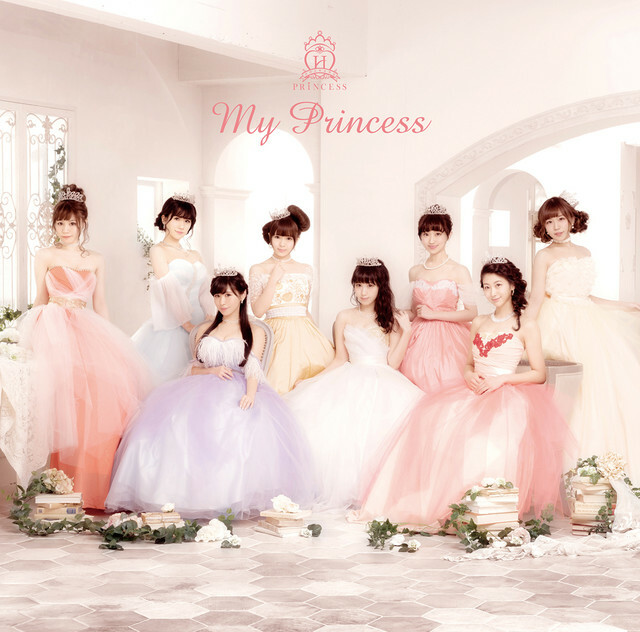 Titled My Princess, the album is set to release on March 22nd, and will come in two editions. The theme behind the album is 'Your Only Princess', where the members turn into your ideal Princess, instead of historical or fictional figures like before. The artwork depicts the members in ball gowns fitting of their title, creating an elegant look and feel for the up-coming release. Houkago Princess has also announced the long overdue release of their indies best-of album, Indies Best ~Memories~, which will be released on the same day. Included in the groups first feature-length album, My Princess, will be twelve tracks. Two of these tracks will be new additions, whilst the third will be a 2017 recording of a previously released song, featuring the current lineup of Princesses. It will also be available in Regular and Limited editions, with both types containing the same tracks. The Limited version will, however, come with a sleeve case and a mini-photobook containing 40 pages of imagery. It has not yet been revealed whether there will be an accompanying music video, or if they will release solo cover versions for the members. The covers for the album have also been released. 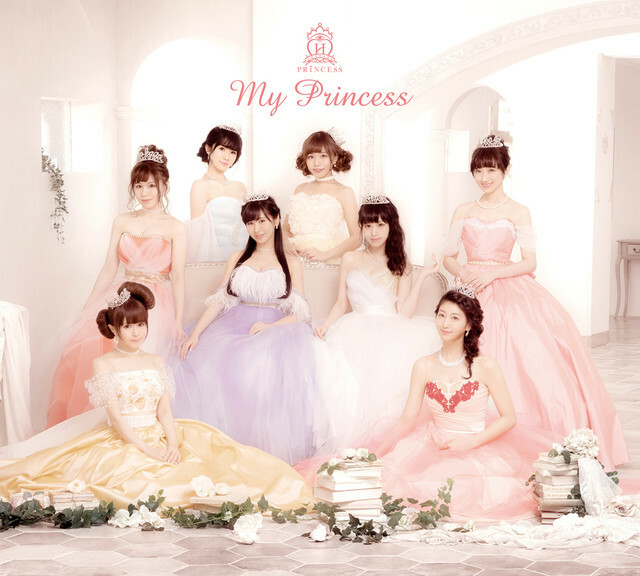 The track list has also been unveiled for My Princess, and contains the groups major single release titles since 2015. The track Memories ~Kimi to boku ni Kousaten~ is performed by members of Team Twinkle, compromised of Odagiri Nana, Yamaguchi Miran, Kizuki Saori, Maika and Sekine Sasara. It is seen as the group who have the most skill in song and dance. Right now, it is undetermined whether all members will receive lines, as both Miran and Saori rarely receive solo lines, though there is a strong focus on their skill in dance in past releases. 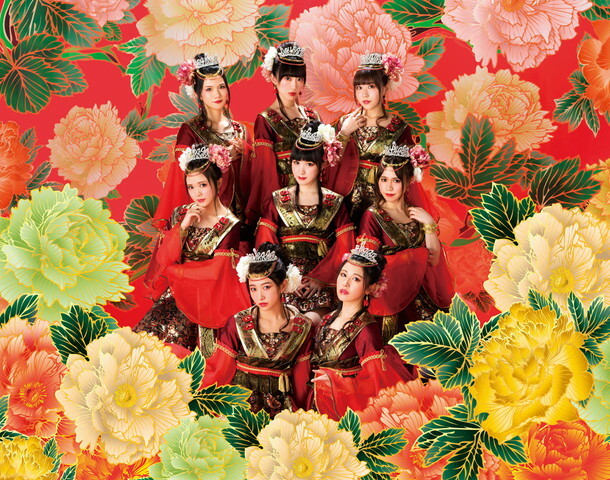 Houkago Princess will also release their long-awaited indies album, Indies Best ~Memories~ on the same day. The album will come in one addition, and will contain 15 tracks of popular songs from 2013 until 2015. Included will be one song that has not yet been released to the public, though it has been performed in live shows. Currently, no covers are available to show. The track Pan ga Suki, though performed live, was never formally released to the public in single format. It was written, arranged and composed by Ishitani Hikaru, and created for the 2015 movie, Koisuru♡Vampire, of which Houkago Princess had a minor cameo in. The song is only briefly performed in the movie, but it certainly feels like the indies era of Houkago Princess! Further information regarding both releases should come within the next few weeks. Well, given there was an announcement to be made on the 20th, I did expect something like this to come out soon. The album release - expected. The Indies Best release, however? Well, that's a surprise! A long overdue surprise by about, oh, 2~3 years, but, a surprise all the same. Honestly though, I am glad they are finally bring out an album. It's something I have wanted for a really long time, so to finally be able to see HouPri release one is amazing, especially when the cover art is so pretty! I mean, damn, those dresses are gorgeous, and each member looks elegant and refined. If only there were some solo covers to show off their individual beauty! Aside from wishing for solo covers, I would say my one big qualm with My Princess as a whole is how little new songs there are, and, of the two, one of them is a Team Twinkle song. Like... seriously? It would have been nice to see some variety, a few more new songs added in to show off the members. Albums and b-sides (at least in H!P) are the only ways to hear some of the lesser-known or lesser-pushed members, so I would have loved to have seen a few more new, fresh album songs from HouPri. And, I am not against Team Twinkle having a song. It's just, of the two original songs gracing this album, only one of them will have a chance to show off the other members, if Management allows it. I would really love to hear more of Saho, Saori, Miran and Mayumi, for sure. Still, Sasara in Team Twinkle will be a bonus; she has a splendid voice. The two tracks I am certainly looking forward to on both releases are Pan ga Suki for the Indies Best ~Memories~ release, and Dream Door (2017 ver.) for My Princess. One I've never heard, the other, I really do like, because it is such a hopeful song, and really gave a feeling of 'making your dreams come true' for HouPri back when they first debuted. So, yeah, I look forward to those songs, at least. It would have been nice to see more than just A and B-side tracks I already know and love on an album, but honestly, I might just be spoiled by H!P and their diverse track listings for albums. Still, I can wish, or at least ~pray~ some of the songs are re-worked for the album. That won't happen, though. Whether I buy the album or not is still a mystery to me, but there is a chance I might do so, if I like the re-work of Dream Door and the other two songs. I have all of their major debut singles, however, as well as all the indies tracks featured on the album aside from Pan ga Suki, so right now, I see little point in purchasing it. I may be a big fan of the group, but, I also see no point in buying tracks I already have. Still, I'm happy, and so proud of HouPri. They've come so far! Are you excited for the up-coming HouPri release, and do you think they are long-overdue for either album? Let me know, and share your thoughts wherever you can! Until next time everyone, please enjoy life, stay happy and healthy, love your Idols, and hear some HouPri! MWAH! My Princess and Indies Best ~Memories~ by Houkago Princess will release on March 22nd, 2017!